Since the 1950s children and adults all over the world have been delighted by the Narnia series of books and the recent arrival of three excellent films has really brought the stories to the younger generation. For me, Peter, Susan, Edmund and Lucy Pevensie, Aslan, Prince Caspian, Mr Tumnus, Reepicheep, Digory and Polly and all the other wonderful characters from the books, were the friends of my childhood. 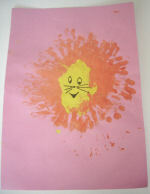 And when he shakes his mane, we shall have spring again..."
Handprint your own painting of Aslan - not a tame lion! 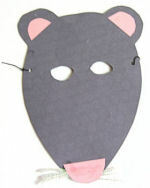 Dress up as Reepicheep with our Rat mask craft. Make your own Caer Paravel - which doubles as a desk tidy and secret store! Eustace is turned into a dragon in The Voyage Of The Dawn Treader. 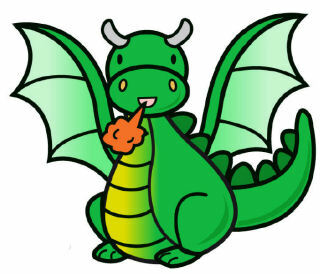 You could make your own dragon - choose from our selection of dragon crafts! 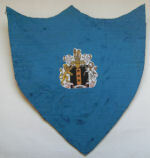 Peter and Edmund would definitely have fought with a worthy shield. Make your own. 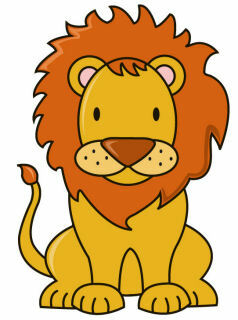 You could give it a crest with a picture of Aslan, perhaps? 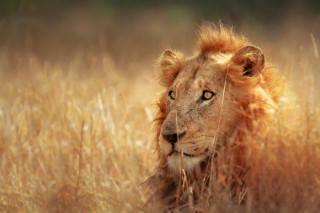 A Narnian king would also need a good sword to fight evil. 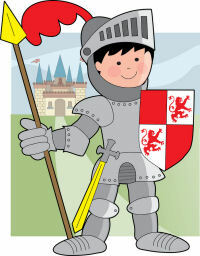 Here's a Knight's sword craft you can use to make a Narnian sword, or you could adapt it to make a dagger for Susan and Lucy. Make your own magic rings to transport you to and from Narnia or other magic worlds, like Digory and Polly in The Magician's Nephew. Colour two narrow strips of cardboard yellow and green and tape them to fit your finger. Store them carefully inside a small box and don't touch them unless you are prepared for the consequences! Make your own wardrobe! Use a large cereal box, brown poster or acrylic paint, and other bits and pieces from your craft cupboard, put together your own wardrobe. You can use a craft knife (adults only) to create two opening doors at the front, and two small buttons glued in place for door-handles. Paint or colour a snowy picture of Narnia, complete with lamp-post, and stick it inside the wardrobe so that you can see it when you open the doors. Study, or make snowflakes! When the Pevensie children arrive in Narnia, it is covered with snow - always winter and never Christmas!